The Zillertal offers reams of leisure activities. For some it would be a nice walk along the Ziller, for the other a racy rafting-tour. Furthermore, there is a huge evening-program for good entertainment. Fridays at “Käse und Musik” (cheese&music) at the “Sennerei”, or dancing to traditional music, you get to know Tyrolean mentality. The central location of our aparments is suited as initial point for hikes or mountainbike-tours. You can find a tennis-court and crazy golf grounds nearby, as well as the band-stand, and the “Volksbühne Hippach” (theatre). Romanticists can enjoy a tour through Hippach on a horse-drawn carriage. The “Erlebnisbad Hippach/Schwendau, as well as the “Erlebnisschwimmbad Mayrhofen” (out-door pools) can be used at no charge by you. – for our guests free entry. 25000m2 feature enough space for fun and sports. The “Erlebnisschwimmbad” also got new sports facilities for even more fun and action! Furthermore, the play-ground was fitted with attractive and exciting gears. -which you will never forget! We offer information, tips and give advice for hiking-tours to see the most wonderful places in the Zillertal. - the pedal pushers swing on their saddle. Above all, cyclists dig Schwendau: Characterized with the predicate “cyclists-friendly community”, the spot stands for a looked after and a very good signed network of bicycle paths. There are downhill-routes at the Penken for the adrenaline-junkies and pure action! Who would like to go higher could try as a flex-wing or with hang gliding. Our house is located directly next to the Horbergbahn, which means that it needs you only a few footsteps to have much fun at skiing and snowboarding on the biggest ski-area in the valley “Ski Zillertal 3000” (Hippach, Mayrhofen, Finkenberg, Tux). There is also something for the bons vivants; You can reach the Ahornbahn and Mayrhofen without any problems with the skibusses, which are for free, and you can reach the skiarea Ahorn from that location. After the ascend to the top of the mountain, you can have a breakfast with a delicious glass of sparkling wine, and afterwards have a very nice and relaxed at the calm ski-area Ahorn. 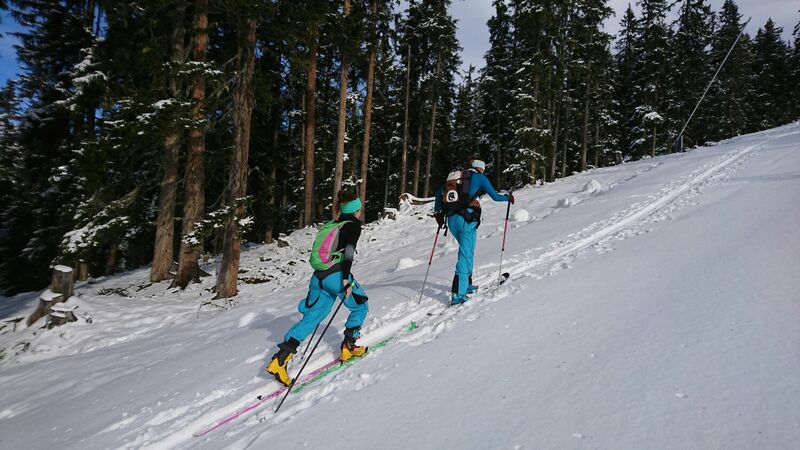 The ski-area „Ski Zillertal 3000“ offers slopes for every grade. For example Austrians steepest slope: Harakiri. In addition, the skiers find race-courses, a speed-line, and for our freeskiers and snowboarders there’s the Vans Penken Park, numerous mogul slopes and freeride-hillsides, as well as the valley run, which leads you directly to our house. The skipasses can also be used for the train and so you have the eventuality to see all ski-areas of the valley. We advise a horse-drawn sledge-carriage to our guests, which like it a bit more romantic, as well as a visit to the therme in Fügen. Amusement for the whole family doesn’t get a raw deal. Sled-courses – among other things the longest illuminated night-sled-course – ice skating, ice hockey, cross-country skiing or a visit in an indoor pool cater for alternation. 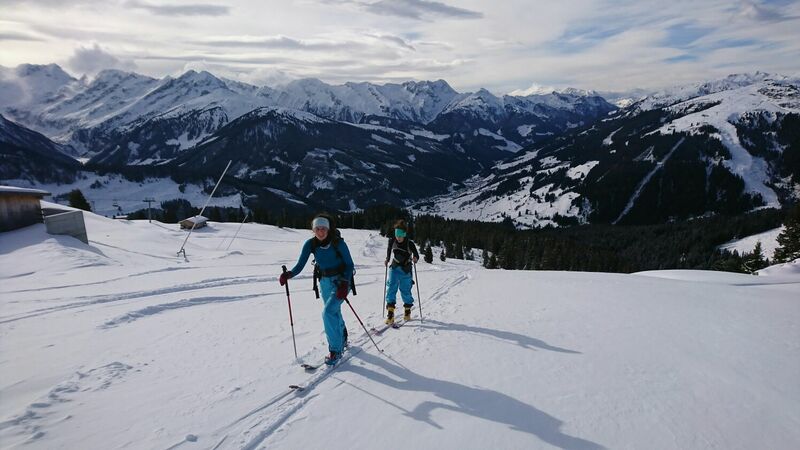 Due to the fact, that we are neighbours of the Horbergbahn, you can find two skischools, which offer you lessons, as well as the rental of the ski-equipment within spitting distance.